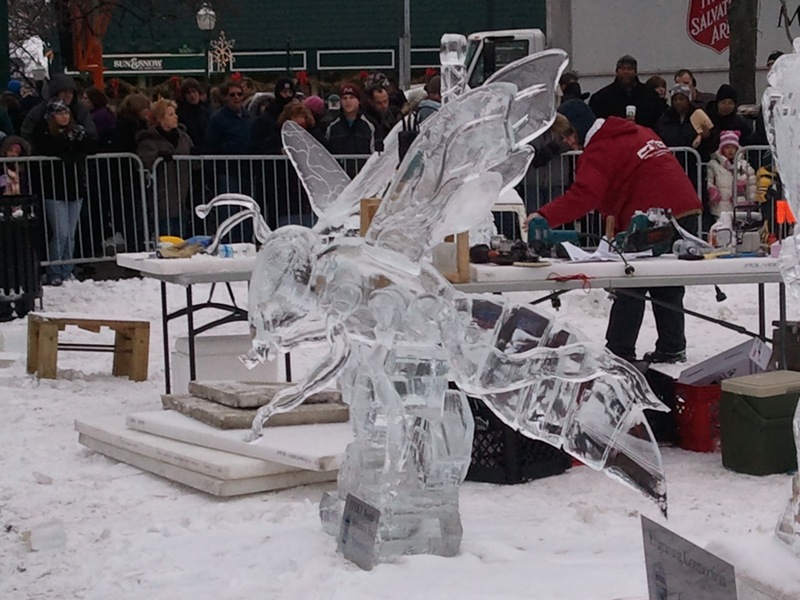 Here are more pics of the Plymouth Ice Spectacular 2012 in Plymouth, Michigan. 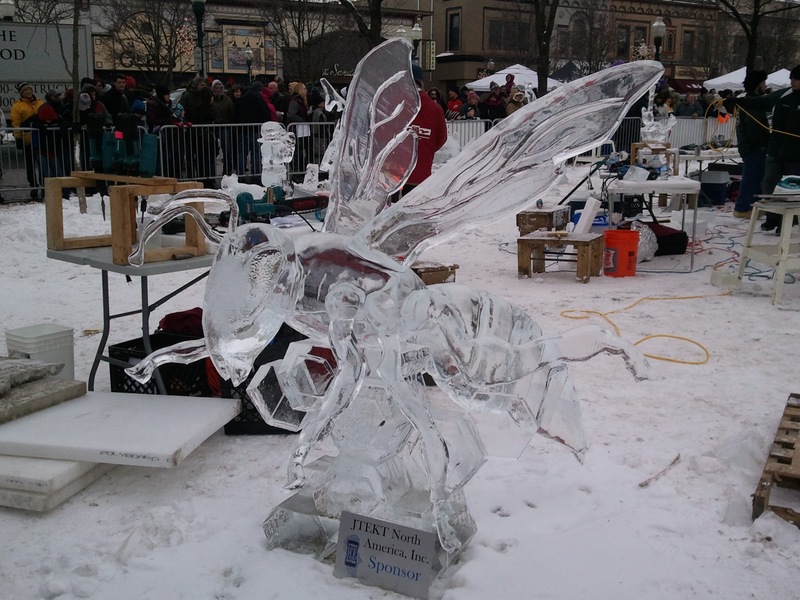 I took this pics on Sunday. 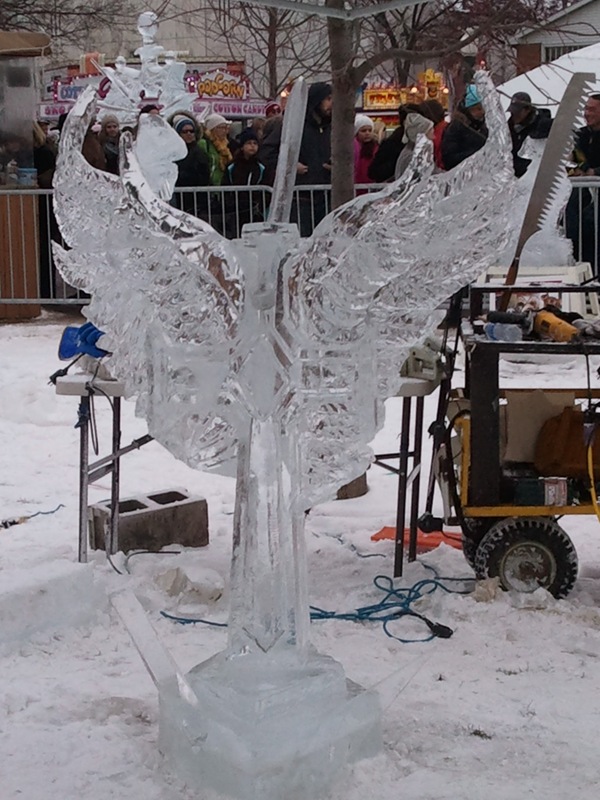 If you look carefully, this sculpture is Gothic style cross with wings and a sword. I’ve took some snowy pics of the creek near my home on Sunday. So happy I got out there with my camera! The next day it rained and ALL the snow melted. I’ll post those up on Thursday. Really? 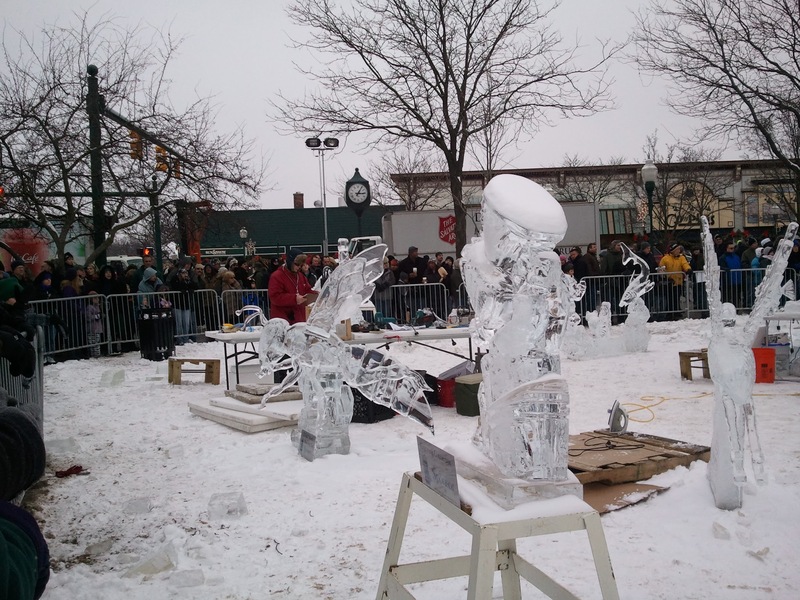 We have Ice Festivals all over Michigan from January through February. 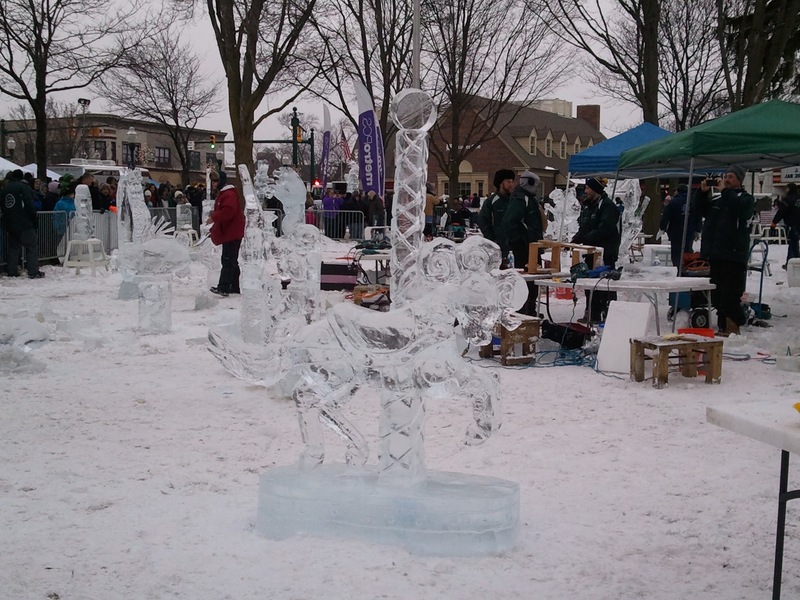 They have Euchre competitions in the tiny town I grew up in, where all the contestants have to sit on big blocks of ice while they play and the whole town gets decorated with ice sculptures. Funny stuff!